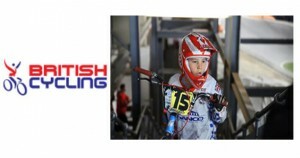 ​We are very proud to announce our sponsorship of a local BMX team – DT Racing. DT Racing have been successful for many years, encouraging BMX riders of all levels and abilities by taking part in competitions all over the UK. Riders were recently filmed at the Manchester Winter Series and during the short video a young member of the DT team is interviewed about the event. We wish all members every success in the 2015 season! This entry was posted in Uncategorized on February 24, 2015 by James McMillan.